One owner, low kms, and very nice condition. 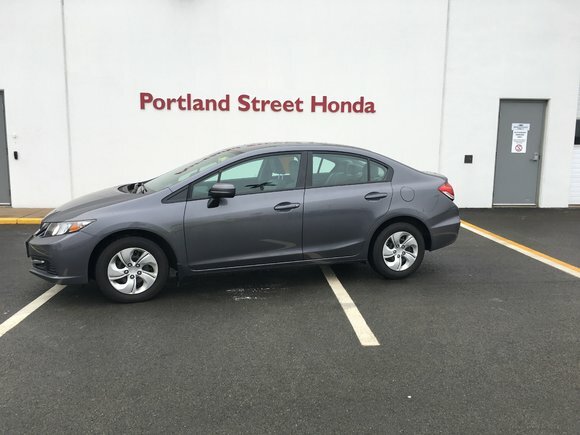 this 2015 civic lx comes with heated seats and heated mirrors, back up camera, blue tooth, air conditioning, power windows, power door locks, electric mirrors, cruise control, safety locks, floor mats, daytime running lights, keyless entry, trunk release, trip computer, automatic transmission, split fold down rear seats and much more. enjoy low cost of ownership and fuel sipping economy of the honda civic. drop by and test drive today. vehicle.label.warranty.powertrain 2019-11-18 / 100000 km.